we have tried to rebuild this template. QQE ADV crosses up, wait for a breakout High line. 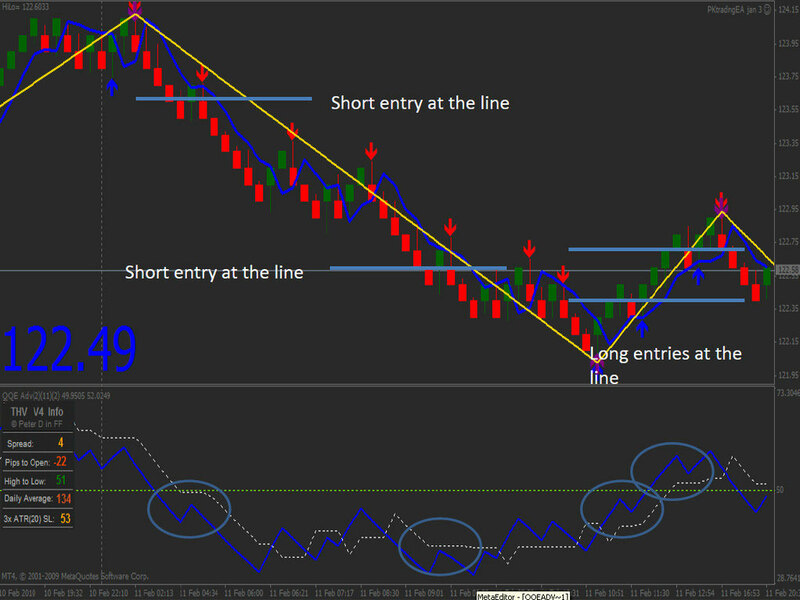 In the picture Renko PK Scalping forex system in action. Can I use this for 1m or 5m timeframe,any suggested setting ?